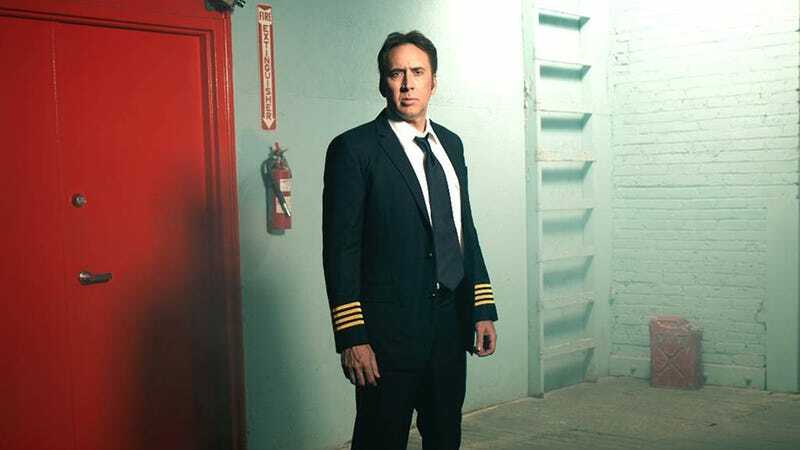 Nic Cage is a pilot, a father, and one of the unlucky people who remain stuck on Earth, because he didn't pray. Because 2014 is officially the year of movies and television about the Biblical end of days, behold the very emotional trailer for Left Behind. Don't worry — God remembered to take all the babies to heaven before the apocalypse. Just not Nic Cage. As you can see in the movie, Nic Cage didn't (as his ex-wife's letters in her home said) "pray," so now he and his daughter are stuck on Earth while God gets ready for Armageddon. Bummer. Left Behind will premiere on October 3.